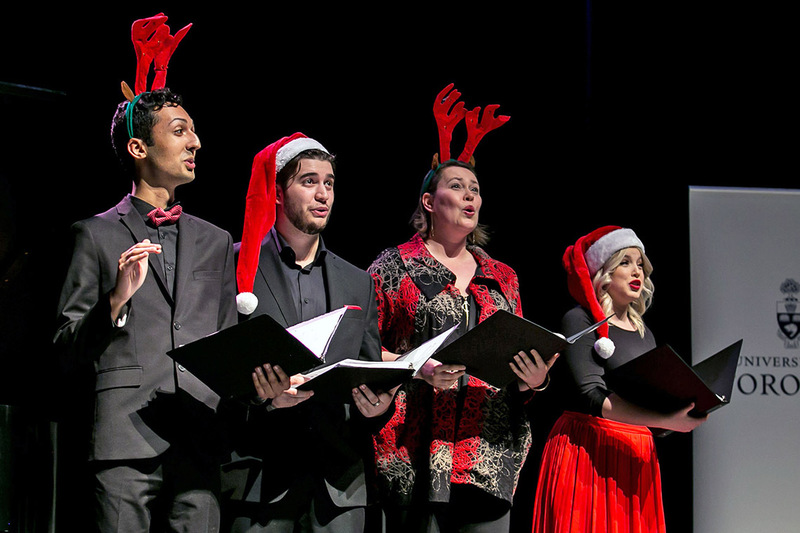 Just in time for the holiday season, the University of Toronto’s Faculty of Music has released their first-ever holiday playlist consisting of grad performers and composers – all music alumni. Hosted on Spotify, the playlist offers 21 classic holiday songs totalling just over one hour of music. Noted alumni featured include Academy Award-winning film composer Mychael Danna, who wrote The Germans Call It A Tannenbaum – incorporating a traditional and timeless melody that accompanied the 2017 motion picture The Man Who Invented Christmas. World-renowned Canadian soprano Measha Brueggergosman sings a soulful rendition of The Christmas Song. And five-time Juno Award winner, guitarist Liona Boyd, strums an enchanting instrumental song called Fantasy on Good King Wenceslas. If you like this holiday collection and want to hear more tunes from accomplished U of T Music alumni, the faculty also created a general Spotify playlist of 121 songs. Check out its wonderfully eclectic mix of musical styles from indie pop to opera, classical to jazz and more.